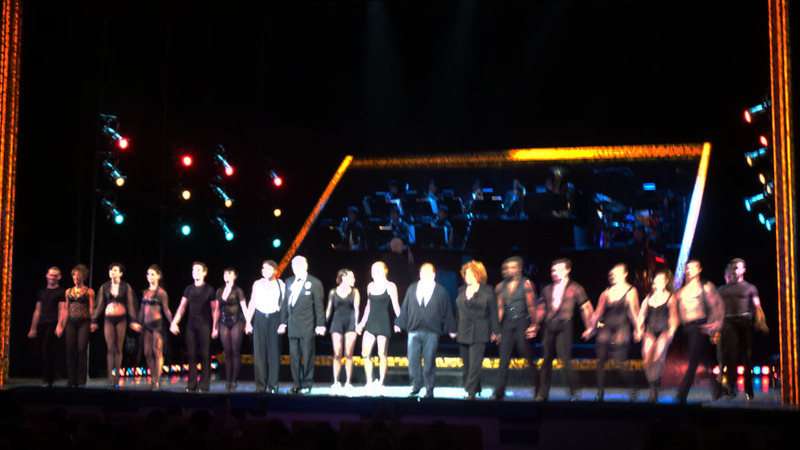 I got to watch the Manila leg of Chicago: The Musical last Friday at the newly-opened theater at Solaire Resort and Casino. The production is the one that’s touring right now, and the Philippines is lucky to be one of the countries they visited. The Manila run is made possible by Smart Infinity and Visa. I haven’t seen the Broadway version or the film adaptation directed by Rob Marshall (who also directed the 1998 Broadway revival of Cabaret), but the song “All That Jazz” has been a favorite since the the film came out. I remember Myx or MTV showing the music video on the channel, so I still got to see Catherine Zeta-Jones shimmy ’till her garters break and all that jazz as Velma Kelly, the seasoned performer and one of the two leads in the story. Chicago follows the story of two performers, Velma and Roxie Hart (an ingénue), who are both arrested for murdering their lovers. As they struggle to get acquitted, they form a rivalry to see who is the bigger star and who can get the most headlines. I enjoyed the musical. I haven’t seen a cabaret live, and this is a great introduction. The two lead roles, Bianca Marroquin as Roxie and Terra MacLeod as Velma are incredible. Marroquin was excellent as the younger Roxie, and she is the funnier of the two. Her comedic timing is impeccable. But MacLeod has nothing to worry about, because even if she has the older role, her dancing was on point. She never runs out of energy as she splits, does cartwheels, and is lifted by male dancers… while singing. The costumes and set were restrained, but it’s probably because it’s styled as a cabaret. Despite that, there was still a touch of extravagance to the entire show. And it’s actually better because you get to focus on the voices of the cast. I was a few minutes late (I came from Rogue and the traffic was horrible), so I didn’t catch “All That Jazz.” A shame, but I’m just happy that I saw the show. I’ve been so busy with Rogue that I missed out on a lot of theater productions, and I’m glad I’ll end the year having seen Chicago: The Musical. Chicago: The Musical is staged at Solaire Resort and Casino, and will run until December 21. For tickets, you may go to Ticketworld. For the 7 things I love about Chicago: The Musical, click here.